Put the cream and the shaved parmesan into a saucepan and bring to the boil, remove from the heat and allow to cool. When cold strain through a sieve and discard the cheese . 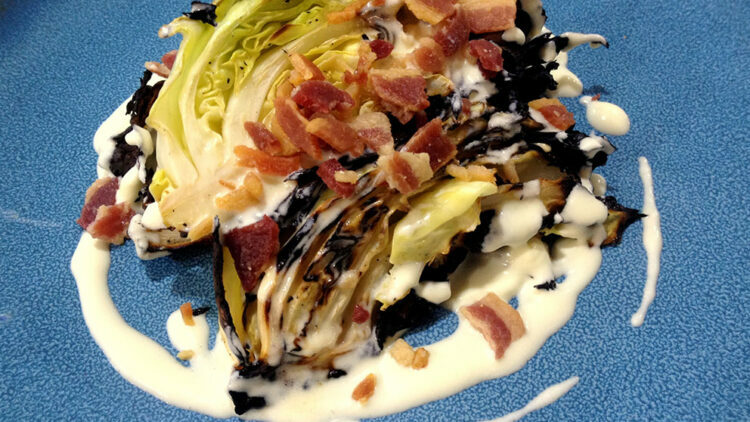 To serve warm the cream and cover the hot cabbage , sprinkle with the smoked bacon pieces.